Although the music included a range of new anthems and the ceremony underwent some alterations to include the Dominions, it remained a largely conservative affair and closely followed the ceremonial of George V's coronation in 1911. The ceremony began with the anointing of the King, symbolising his spiritual entry into kingship, and then his crowning and enthronement, representing his assumption of temporal powers and responsibilities. The peers of the realm then paid homage to the King before a shorter and simpler ceremony was conducted for the Queen's coronation. The return procession to Buckingham Palace was over six miles (9.7 km) in length, making it the longest coronation procession up to that time; crowds of people lined the streets to watch it, over 32,000 soldiers took part and 20,000 police officers lined the route. The coronation was commemorated by the issuing of official medals, coinage, and stamps, by military parades across the Empire, and by numerous unofficial celebrations, including street parties and the production of memorabilia. The event was designed to be not only a sacred anointing and formal crowning, but also a public spectacle, which was also planned as a display of the British Empire. May 1937 included a programme of royal events lasting nearly the entire month to commemorate and mark the occasion. As a preliminary to the coronation, guests from across the Empire and around the world assembled at Buckingham Palace and official receptions were held to welcome them; amongst those attending were Indian princes and, for the first time, native African royalty. For the event itself, the prime ministers of each Dominion took part in the procession to the abbey, while representatives of nearly every country attended. Contingents from most colonies and each Dominion participated in the return procession through London's streets. The media played an important part in broadcasting this show of pageantry and imperialism to the Empire. The coronation was an important event in the history of television, being the country's first major outside broadcast, although television cameras were not allowed inside the abbey. It was also the first coronation to be filmed, as well as the first to be broadcast on radio. In January 1936, King George V died and his eldest son, Edward VIII, succeeded him as king-emperor of the British Empire. He was unmarried at that time, but the American socialite, Wallis Simpson, had accompanied him on numerous social occasions in years leading up to 1936; she was married to the shipping executive Ernest Aldrich Simpson and had previously been divorced. The relationship had not been reported in the British press, but was receiving considerable media attention in the United States; it was controversial due to her being divorced, a status considered incompatible with the King's position as the nominal head of the Church of England, which did not at that time permit remarriage after divorce. In October 1936 Simpson filed for divorce, and the King informed the Prime Minister, Stanley Baldwin, that he intended to marry her. Baldwin and several leading imperial administrators advised the King that popular opinion in the dominions was hostile to the proposed marriage; at home, the King also faced opposition from the Church of England and from factions in Parliament. The widespread unwillingness to accept Simpson as the King's consort, and Edward's refusal to give her up, led to his abdication in December 1936. He was succeeded by his next younger brother, George VI. Before his accession, George had been known as Prince Albert, Duke of York; his regnal name was chosen in honour of his late father. In 1923, he had married Lady Elizabeth Bowes-Lyon, the daughter of the Earl of Strathmore and Kinghorne. Although the reign of the British monarch begins on his or her succession to the throne, the coronation service marks their formal investiture. In 1937, the ceremony was organised by a Coronation Committee, established by the Privy Council and chaired by the Lord President of the Council, a political appointment; its central component, the Executive Committee, was chaired by the Duke of Norfolk, who inherited the office of Earl Marshal, which carries with it, by convention, the responsibility for the organisation and coordination of the coronation ceremony. The Coronation Committee had been delayed when it met for the first time on 24 June 1936: Ramsay MacDonald, the Lord President of the Council, met the Duke of Norfolk to discuss the proceedings; MacDonald would chair the Coronation Committee as a whole, and the Duke would chair the Executive Committee. While Edward VIII was away, cruising on the Nahlin with Wallis Simpson, his brother, Albert, Duke of York (the future George VI) sat in his place on the committees. Edward VIII had initially been reluctant to have a coronation at all (asking the Archbishop of Canterbury whether it could be dispensed with), but conceded that a shorter service would be acceptable; his desire for a lower-key event led to the planned abandonment of the royal procession through London the following day, the thanksgiving service at St Paul's Cathedral and the dinner with London dignitaries. After the abdication of Edward VIII, the coronation committee continued to plan the event for George VI with minimal disruption; according to Sir Roy Strong, at the next meeting after the abdication "no reference was made at all to the change of sovereign, everything immediately being assumed to have been done for the new king." After the abdication, though, many of the traditional elements that Edward VIII cared less for were restored, with Queen Mary taking an interest in the design of furniture and insisting on a more traditional appearance; indeed, much of the service and the furnishings were to closely resemble those of the 1911 coronation of George V.
Although the Executive Committee was chaired by the Earl Marshal, the Archbishop of Canterbury, Cosmo Lang, was also a driving force behind the preparations for the 1937 coronation; and many of the decisions about the order of service were made by or with him. He was an ex officio member of both the Executive Committee and the Coronation Committee, which dealt with the detail and, as such, he attended all of the rehearsals. He tended to take a leading role in the planning process, becoming a key mediator when queries arose, and dealing with questions of how the service should be broadcast by the media. Lang also spoke to the nation through the BBC services in the run-up to Coronation Day; he saw the Coronation as an opportunity for the spiritual renewal of the nation, and he organised a campaign of evangelism called Recall to Religion, which he launched on 27 December 1936 with an address on BBC radio. He was also keen to ensure that the King and Queen understood the religious nuances of the service, and held two meetings with the couple beforehand. The Archbishop met the King and Queen on the evening before their coronation, running through the ceremony and explaining the most important parts. He was also concerned about King George's stutter and discussed the matter with Lord Dawson of Penn and Lord Wigram; Lionel Logue was then the King's speech therapist and the Archbishop discussed replacing him, but decided to monitor the King's improvement and Logue remained his therapist. As it happened, the King delivered his speech without stuttering. The coronation cost £454,000, which was more than three times the cost of the 1911 ceremony. This cost included the construction of the annexe, which was built as a temporary add-on at the entrance of the abbey for each coronation. In previous years, it had taken the form of an imitation Gothic entrance, but, as a remnant of Edward VIII's modernising attitude, it was now an art-deco design, adorned with stylised heraldic beasts and tapestries belonging to the Duke of Buccleuch. For each coronation, special seating was also constructed to accommodate the large number of guests; 1937 was the first year to make use of metal structures to support the seats, in the form of tubular steel. 400 tons were used alongside 72,000 cubic feet (2,000 cubic metres) of wood, with 400 men working on the construction. The theatre and sacrarium were also lowered to floor level for the first time since the restoration[clarification needed]. In 1911, standards of the Dominions, autonomous communities of the British Empire, were borne during the procession, but, after the 1931 Statute of Westminster, which established legislative equality between the Dominions and the United Kingdom, the actual service and coronation rite needed to be updated to reflect this change in political power within the Empire. Furthermore, the fact that the service was an Anglican rite excluded other faiths and denominations; in 1937, several Dominions had premiers who were Catholic and, by that time, laws which previously excluded people from public office on religious grounds had been repealed. The Coronation Committee altered the rite to reflect this change; the King now swore to maintain "the Protestant Reformed Religion only as established by law in the United Kingdom." During Edward VIII's reign, a committee was established and chaired by the Duke of York to investigate how colonial representatives might be included within the ceremony, but the Committee failed to implement any changes, except to the Coronation Oath. This was the first amendment to the oath since the coronation of King William III and Queen Mary II in 1689. Although 1937 saw an increase in the colonial contingents partaking in the procession and an official lunch in Westminster Hall was given to Parliamentary representatives of Empire states for the first time, the service itself was barely altered to reflect the new status of the Dominions. The ceremony was attended by the King's and Queen's daughters, Princesses Elizabeth and Margaret, as well as by the King's mother, the dowager Queen Mary. It was the first British coronation to be attended by an already crowned queen. Members of the extended Royal Family attended and all peers and members of parliament were invited. Leading colonial administrators, ambassadors, Indian Princes and Premiers of the Dominions were also on the guest list. Working-class representatives included representatives of the trade unions and co-operative societies, while native Africans were allowed to attend for the first time. The abbey's doors were closed to guests at 8.30 on the morning of the coronation. The official record of the ceremonial, published in the London Gazette, describes the seating plan: "The Lords Spiritual were seated on the North side of the Area, or Sacrarium, the Lords Temporal in the South Transept, and the Dowager Peeresses and Peeresses in the North Transept." Before the coronation ceremony begins, there is traditionally a lengthy procession to the abbey. The procession left Buckingham Palace and headed up The Mall, though Admiralty Arch, and down Whitehall, before entering Westminster Abbey. The first to take part in the procession were lesser members and relatives of the Royal Family and the representatives of foreign royalty and heads of state; they departed Buckingham Palace by car between 08:40 and 08:45 and arrived at the abbey ten minutes later; British and Dominion prime ministers followed half an hour later, leaving at 09:15. At 09:49, members of the Royal Family left the palace (Queen Mary's carriage left Marlborough House shortly afterwards at 10:13). The King and Queen then travelled in the Gold State Coach from Buckingham Palace at 10:43; their procession was by far the longest and included numerous military contingents and delegates from Britain, the Dominions, and the colonies, as well as members of the War Office, the Army, Naval and Air Boards and the personal aides-de-camp. The first to arrive in procession were the royals and foreign representatives; they arrived ten minutes after departing the palace. The royal members were led in by two officers of arms—the Bluemantle Pursuivant (R.P. Graham-Vivian) and the Portcullis Pursuivant (A.R. Wagner)—followed by two gentlemen ushers (Captain Humphrey Lloyd and Colonel Vivian Gabriel), and were led to their seats in the royal gallery. The foreign representatives followed in at roughly 09:00 and were greeted by senior members of the Royal Household and the Diplomatic Corps. [nb 1] Led in by the Rouge Croix Pursuivant (P.W. Kerr) and the Rouge Dragon Pursuivant (E.N. Geijer); they were escorted to their seats in the choir. Following tradition dating back to the reign of King Charles II, the regalia were brought to the Deanery of Westminster the night before the coronation. Staff started working at 4 am, while guests began arriving two hours later. 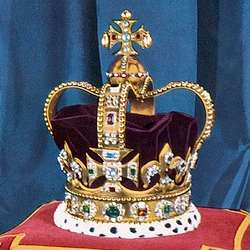 The Imperial State Crown had been remade for the occasion by the Crown Jewellers, Garrard & Co. Queen Elizabeth's crown was new and made from platinum; it featured the Koh-i-Noor diamond from the crown of Queen Mary. Queen Elizabeth wore a gown made of silk satin, with pure gold thread embroidery in a rose and thistle pattern. It also featured designs patriotic to the British Empire. The ermine-lined velvet robe had a floral pattern with a gold outline. While the litany was sung, the Choir led the Dean and Prebendaries of Westminster down from the High Altar at 09:55; they were carrying the Crown Jewels and regalia, which they then deposited at the Vestibule. The Comptroller of the Lord Chamberlain's Office then handed the regalia to the Lord High Constable, who in turn handed them to the Lord Great Chamberlain; the items were then handed over to individual peers, who are listed below. Led by two officers of arms—the Rouge Croix Pursuivant and the Rouge Dragon Pursuivant—and two gentlemen ushers (Rear-Admiral Arthur Bromley and Lieutenant-Colonel Henry De Satgé), the senior members of the Royal Family arrived at 10:15 and formed their procession into the abbey. The Princess Royal was flanked by Princesses Elizabeth and Margaret, and they were followed by the Duchesses of Gloucester and Kent and then, in pairs, Prince and Princess Arthur of Connaught; Princess Alice, Countess of Athlone and Lady Patricia Ramsay; and Princess Marie Louise and Princess Helena Victoria, each with an attendant, train-bearer, or coronet carrier, as applicable. Twenty minutes later, the Queen of Norway and Queen Mary arrived, being received by the Earl Marshal. Their procession took a different form to that of other members. The York and Windsor Heralds led, followed by G.A. Ponsonby[nb 2] (Comptroller of Queen Maud's Household) and then the Queen of Norway, attended by Miss von Hanno and followed by the Richmond and Chester Heralds. Then, Queen Mary's Lord Chamberlain (the Marquess of Anglesey) led Queen Mary, whose train was borne by four pages (the Earl of Dalkeith, the Marquess of Lansdowne, Gerald Lascelles, and Viscount Errington) and who was attended by the Mistress of the Robes (the Duchess of Devonshire), two ladies of the bedchamber in waiting, her private secretary, comptroller, and three equerries (two ordinary and one extra). A guard of honour had formed at the vestibule and at the entrance, and the King and Queen arrived at 11:00. On their entry, they were greeted by the Great Officers of State, the Archbishops, and the peers bearing the regalia. They then formed their procession, which was led by the King's Chaplain and the Chapter at Westminster, who were followed by representatives of the Free Churches and the Church of Scotland. The procession involved all of the Great Officers of State, the Archbishops of Canterbury and York, the Lord Mayor of London, the Officers of Arms of England and Scotland, the Standards of each Dominion, the Prime Ministers of the UK and of each of the Dominions, and the most senior and highest-ranking officials in the Royal Household. They were followed by twelve members of the Yeoman of the Guard and six of its officials. The King and Queen walked surrounded by their regalia, borne by the designated peers; King George wore his great robes of state, which had to be carried by nine pages. They walked past the choir, in which sat the foreign representatives and delegates, before passing through the screen; after this, they sat or stood in their designated area and the King and Queen took their seats in the Chairs of State in front of the royal box. As the King and Queen and the procession proceeded, the choir sang I was glad with the traditional acclamations of Vivat Regina Elizabetha and Vivat Rex Georgius by the King's Scholars of Westminster School. The coronation service itself began once the procession into the abbey was over and the King and Queen were seated. Beginning with the recognition, the King then took an oath and was anointed by the Archbishop of Canterbury, before being crowned king. As a remnant of the coronation ceremony's feudal origins, the King then received homage from the peers and peeresses of the realm in attendance. There were few departures from the services conducted at previous coronations. Efforts were made to shorten the lengthy proceedings: the litany was sung during the regalia procession before the start of the service, and the sermon was omitted entirely. Even so, the service itself lasted for two and a half hours, excluding the preliminary processions. The first part of the service was the recognition, where the Archbishop of Canterbury called for those present to proclaim their recognition of the sovereign as their rightful king. The King was conducted by the Garter King of Arms to St Edward's Chair, and the Archbishop, as tradition dictates, asked: "Sirs, I here present unto you King George, your undoubted King: wherefore all you who are come this day to do your homage and service, are you willing to do the same?" The people replied loudly at each repetition "God save King George". The king then sat in the Chair of State and the regalia, except the swords, were laid on the altar. The King then knelt before the altar and swore on the Bible his coronation oath, a copy of which he then signed. The Archbishop of Canterbury then began the Communion Service, while the Bishop of London read the Epistle and the Archbishop of York the Gospel; after the Service concluded, the King and Queen knelt while the choir sang "Veni, Creator Spiritus". This marked the beginning of the anointing of the monarch, when the Archbishop of Canterbury marks the monarch's head with oil to symbolise the introduction of the Holy Spirit. The Choir sang Handel's Zadok the Priest and the Archbishop prayed, before the King was disrobed and sat in St Edward's Chair, with the Canopy borne by four knights of the Garter placed over him. The Archbishop then anointed him with oil from the Ampulla, which had been poured onto the Anointing Spoon. In preparation for his crowning, the King, still on St Edward's Chair, was invested with the two coronation robes, the Colobium Sindonis and the Supertunica by the Dean of Westminster. Next, he was invested with the regalia, each of which symbolised his progress to kingship. First, the Lord Great Chamberlain touched the King's heels with the Golden Spurs; the Great Sword of State was deposited in St Edward's Chapel and the Jewelled Sword of Offering was passed to the King by the Archbishops and Bishops, who said "With this sword do justice"; the King then offered this sword at the altar. Seated again, the Lord Great Chamberlain fastened the armills and the Dean invested the King with the Royal Robe; the Archbishop passed him the Orb, put the Ring on his fourth finger and handed to him the two sceptres—with the cross (for Royal power) and with the dove (for "mercy and equity"). The Earl of Lincoln, as Deputy of the Lord of the Manor of Worksop, then handed over a glove, which the King wore. Once adorned with his regalia and seated in St Edward's Chair, King George was crowned with St Edward's Crown by the Archbishop of Canterbury and the people in the abbey proclaimed loudly "God save the King"; the peers and peeresses wore their coronets (the only time that this happens) and the guns in the Royal Parks were fired to mark the crowning. The ceremony appeared to run smoothly, although there were a few inconspicuous mishaps: the Archbishop of Canterbury almost placed the crown on the King's head the wrong way, one bishop stepped on the King's train, and another concealed the words of the Oath with his thumb while the King was reading it. In the text of the service, this part of the ceremony was described using the archaic term "inthronization". The Archbishop of Canterbury presented the Bible to the King and the King returned it to him, who gave it to the Dean, who placed it on the Altar. The King handed the glove over to the Lord Chamberlain of the Household and the Sceptre with the Cross to the Lord of the Manor of Worksop. The Benediction followed and then the King moved over to the other throne, accompanied by the Bishops of Bath and Wells and of Durham, the Great Officers of State, the Lords carrying the swords and the Lords who had carried the regalia. The Archbishop knelt and paid homage to the King; the Archbishop of York did so next, followed by each of the Bishops. The Dukes of the Blood Royal then did homage, followed by the Lords Temporal (Dukes, Marquesses, Earls, Viscounts, Barons); six anthems were sung by the Choir during the homage: "O come ye servants of the Lord", "Hear my prayer, O Lord", "O clap your hands together, all ye people", "All the ends of the world shall remember themselves", "O praise God in His holiness" and "Thou wilt keep him in perfect peace". The Queen was crowned and anointed in a much smaller and simpler ceremony. This began immediately after the homage to the King finished, when the Queen knelt in prayer before the altar. She then went to the Faldstool, which had been placed before the altar, where she knelt under a canopy, which was held by the Duchesses of Norfolk, Rutland, Buccleuch and Roxburghe. The Archbishop anointed her, placed on her fourth finger on her right hand the Queen's ring and then crowned her, at which point the Princesses and Peeresses donned their coronets. She was then handed her Sceptre with the Cross and the Ivory Rod with the Dove, before walking over to her own throne beside the King, where she sat. The Offertory followed, in which the King and Queen offered their regalia on the Altar. They then received Holy Communion from the Archbishop and were passed their crowns before returning to their thrones where they were also given their sceptres back. Te Deum was sung by the choir. A recess followed, during which the King and Queen proceeded to St Edward's Chapel. There, the King delivered the Sceptre with the Dove to the Archbishop who laid it on the altar. The bearers of the Orb, the Golden Spurs and St Edward's Staff delivered these to the Dean of Westminster, who laid them on the altar in the chapel. The King was disrobed of his Royal Robe of State by the Lord Great Chamberlain and put on the Robe of Purple Velvet. The King, now wearing the Imperial State Crown, was then given the Orb by the Archbishop. While the King and Queen were in the chapel, the Officers of Arms arranged the procession out of the abbey, which was similar in form to the procession into the abbey. The King and Queen then joined the procession, with the King carrying the Sceptre with the Cross in his right hand and the Orb in his left, while the Queen carried her Sceptre with the Cross in her right hand and the Ivory Rod with the Dove in her left. They proceeded to the West Door of the Abbey as the National Anthem, "God Save the King", was sung. As in the 1902 and 1911 events, the coronation was followed by a procession through London's streets from Westminster Abbey to the Royal residence, allowing the public to view the new king and queen. In 1937, this return route was extended significantly. From Westminster Abbey, it passed around Parliament Square and up the Victoria Embankment (where 40,000 schoolchildren were waiting) and then along Northumberland Avenue, into Trafalgar Square, up Cockspur Street through to Pall Mall; from there, the procession went up St James' Street, joining Piccadilly, then up Regent Street, then west along Oxford Street, before turning past Marble Arch and then down East Carriage Road, alongside Hyde Park; from there, the procession passed through Hyde Park Corner and then through Wellington Arch, on to Constitution Hill and then back into Buckingham Palace. The progression included a large number of military personnel from across the Empire. There were representative detachments from all the elements of the British armed forces and the reserve forces, the British Indian Army and Royal Indian Navy, contingents from the British Dominions and a contingent representing the defence forces of the Colonial Empire. Contingents taking part represented the following sections of the Empire: India, the dominions of Canada, Australia, New Zealand, Burma, Newfoundland and South Africa, and the Colonies of Southern Rhodesia, Kenya, Uganda, Tanganyika, Nyasaland, the Gambia, the Gold Coast, Sierra Leone, Somalia, Aden, Transjordan, Malta, the West Indies, British Guiana, Honduras, Ceylon, the Falklands and Hong Kong. In total there were 32,500 officers and men either marching or lining the route. Overall, the procession was 2.0 miles (3.2 km) in length and took 40 minutes to pass any given point. The route of the procession was the longest on record, at six and a quarter miles (10 kilometres). Before and after the event, the British and Dominion troops were accommodated in temporary camps at Kensington Gardens, Regent's Park, Primrose Hill, Olympia and Hampton Court; the Colonial troops were housed in various London barracks. The musical director for the service was Ernest Bullock, who was organist and Master of the Choristers at Westminster Abbey, in consultation with the Master of the King's Musick, Henry Walford Davies. The Abbey choir was supplemented by choirs from the Chapel Royal, St Paul's Cathedral, St George's Chapel, Windsor and the Temple Church. An orchestra composed of musicians from London's main orchestras was conducted by Adrian Boult. Tradition demanded the inclusion of George Frederick Handel's Zadok the Priest (1727) and Hubert Parry's I was glad (1902). New work written for the occasion included Confortare (Be strong and play the Man) by Walford Davies and the Festival Te Deum in F Major by Ralph Vaughan Williams. Perhaps the best known work from the 1937 coronation is Crown Imperial, an orchestral march by William Walton. It was the desire of Bullock and Davies that the programme should include music from 'Tudor times to the present day' and so new pieces were composed by Arnold Bax, Arthur Bliss and Granville Bantock, as well as Walton and Williams. Walton's Crown Imperial was played while the King and Queen progressed up the nave; Edvard Grieg's Homage March from Sigurd Jorsalfar and Edward German's Coronation March were played when the Princes and Princesses, and then Queen Mary arrived, respectively. Choral works included the traditional plainsong Veni, Creator Spiritus, William Byrd's Creed and Sanctus, Christopher Tye's O Come ye Servants of the Lord, Henry Purcell's Hear My Prayer, Samuel Sebastian Wesley's Thou Wilt Keep Him in Perfect Peace, Sir George Dyson's O Praise God in His holiness, Sir Edward Bairstow's Let My Prayer Come Up into Thy Presence and Dr William Henry Harris's Offertorium. Despite a number of hitches, described above, the coronation ran relatively smoothly. It has been somewhat overshadowed in history by the larger Coronation of Queen Elizabeth II in 1953; the Abbey's sacrist, Jocelyn Perkins, said that the 1953 event was "out and away the most impressive" of the 1953, 1937 and 1911 coronations. Nonetheless, a number of those present, the King included, commented privately on the spirituality of the ceremony. Despite recalling it as being "inordinately long" and remembering how heavy the crown and robes were, the Queen said that it was "wonderful and there is a great sense of offering oneself". The King wrote to Lang thanking him for his support and, although he said it was an "ordeal", he also wrote that "I felt I was being helped all the time by Someone Else as you said I would". The Coronation ceremony itself was not televised, but it was the first coronation service to be broadcast on radio; 28 microphones were placed around the Abbey to capture the music and speech. There was no commentary, but the Reverend Frederic Iremonger, Director of Religion at the BBC and Honorary Chaplain to the King, read out the rubrics or written directions from the service book from a seat high in the triforium over Saint Edward's Chapel. During the most sacred parts of the service, the consecration and the Holy Communion, the microphones were turned off and listeners heard hymns being sung by the choir in the Church of St Margaret, Westminster. The ability to project the service to citizens of the Empire allowed the Coronation to further Britain's imperial ambitions; as Range wrote, "with the twentieth century there also came a heightened awareness of ... the propagandistic qualities of the event". The BBC and CBC jointly transmitted the proclamation of George VI. In the lead up to the Coronation, the BBC organised talks by Ministers to be broadcast under the name Responsibilities of Empire, and also broadcast The Empire's Homage featuring messages from colonial officers and citizens from across the Empire. The BBC's Empire Service broadcast the whole service, lasting two-and-a-half hours. The procession was broadcast on the BBC Television Service, which had only been operating since the previous November. Several tons of television cables, measuring 8 miles (13 km), were laid across central London, so that the images from three Emitron television cameras could be sent to the transmission centre at Alexandra Palace. Commentary was by Frederick Grisewood, who was with the cameras at Hyde Park Corner. The coverage of the procession is regarded as being the BBC's first outside broadcast. In reviewing the broadcast, The Daily Telegraph commented: "Horse and foot, the Coronation procession marched into English homes yesterday," while the Daily Mail said: "When the King and Queen appeared the picture was so vivid that one felt that this magical television is going to be one of the greatest of all modern inventions." The coronation service of George VI was the first to be filmed; the 40 camera crew inside the Abbey were required to wear evening dress. It was later shown in edited form as a newsreel in cinemas across the British Empire. The service was later broadcast from these recordings, with the authorities censoring only one small section: a clip of Queen Mary wiping a tear from her eye. Aside from the Coronation ceremony itself, a 23-day-long programme of official events spanned most of May 1937. The 1902 Coronation was the first to see such a programme implemented, but 1937 was nearly twice as long, and, building on similar developments in 1911, it was a very public spectacle; Sir Roy Strong argues that the month-long festivities were designed to "recapture the confidence of the nation" following the abdication crisis. The first week saw receptions for foreign visitors and delegates, while a State Banquet was held on May 10, but the weeks following the coronation saw more public spectacles; the following day included a royal drive through north London, May 16 included a luncheon at Guildhall with London dignitaries and the 'Empire Service of Youth' in Westminster. On May 20 and 21, the King and Queen inspected fleets and visited flagships, while, on May 22, the Queen visited Hyde Park to inspect St John's ambulances and then drove through another area in North London. Commemorative stamp, issued in New Zealand. Another stamp, issued by Swaziland. 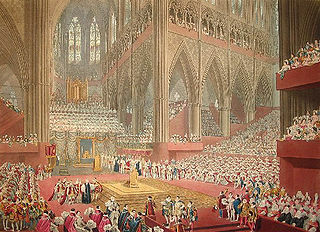 The King marked the occasion of his coronation by conferring honours on a select group of his subjects; in all, thirteen peerages and seven baronetcies were created, while appointments were made to the Privy Council and to the Orders of the Garter, Thistle, Bath, Merit, Star of India, St Michael and St George and the Royal Victorian Order. An official medal was also struck to mark the occasion, as is customary; however, unlike his father's and grandfather's coronation medals, it was produced in one class. The medal was issued to 90,279 people from across the Empire. Canada, for instance, was allowed just over 10,000, with many being issued to commanding officers in the military, cabinet ministers, senators and their staff and the staff of the Governor-General. The Royal Mint issued two special 1937 coin sets comprising the coinage for that year and commemorative issues. 5,501 gold Sovereigns and half-Sovereigns were minted (the only ones of George VI's reign). 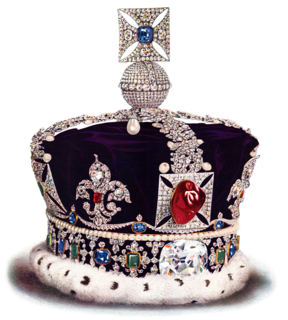 Additionally, over 400,000 Coronation crowns were issued, plus over 26,000 at proof grade. The Post Office had planned to issue special commemorative stamps to mark the coronation of Edward VIII, but, on his abdication, were uncertain as to whether a new design could be prepared in time, but invited Eric Gill to submit designs for a 1½d stamp. Another artist, Edmund Dulac, also submitted two plans. The King accepted Dulac's and they were printed in brown with a hint of violet the day after the Coronation. The streets along the procession route were crowded with people, with women estimated by one newspaper to outnumber men two-to-one. In all, 20,000 police officers were deployed to line the route and keep the crowds calm and, apart from a "dense crush" in Trafalgar Square, which the police dispersed, there were few problems with managing the public in London. In London and elsewhere across Britain, the Coronation became a social occasion, with street parties taking place, in which inhabitants and communities closed off roads, decorated their streets with bunting and flags, and laid on a celebratory lunch; the Pearly Kings and Queens, a traditional part of working-class culture in London, turned out, joining in with festivities and theatrically mocking the Royal Family. United Religious Service, High Court building, Accra. United Religious Service, Gold Coast. Athletics event, possibly in Accra. Distribution of souvenirs to schoolchildren. The coronation was capitalised on by manufacturers as a means of selling commemorative material. Recordings of the service were put up for sale, while glassware and pottery were also made to commemorate the event. In Canada, for instance, at least five cookbooks were printed to mark the Coronation. The battleship HMS Nelson off Spithead for the 1937 Fleet Review. Anchored in the background are two Queen Elizabeth class battleships and two London class cruisers. The final coronation event was the Review of the Fleet, held on 20 May at Spithead off the coast at Portsmouth. The largest assembly of warships since the coronation review of 1911, it has been described by military historian Hedley Paul Willmott as "the last parade of the Royal Navy as the world's greatest and most prodigious navy". Ten British battleships and battlecruisers were present, and for the first time at a coronation review, four aircraft carriers. Altogether, there were 101 surface warships, 22 submarines and 11 auxiliaries drawn from the Home, Mediterranean and Reserve Fleets. The Review Procession included the royal yacht, HMY Victoria and Albert, two minesweepers and a survey ship. The Commonwealth and Empire were represented by two warships from Canada and one each from New Zealand and India. A large complement of British merchant ships ranging from ocean liners to paddle steamers were also present. By tradition, foreign navies were invited to send a single warship each to the review and seventeen were present. Notable among them were the USS New York, the new French battleship Dunkerque and the elderly Soviet Marat. Also present were the formidable looking German "pocket battleship", Admiral Graf Spee, the Greek cruiser, Georgios Averof and the Japanese heavy cruiser, Ashigara. Following the review, in which the King and Queen on the royal yacht passed along seven lines of moored ships, there was a flypast by the Fleet Air Arm, however a planned second pass had to be abandoned because of the misty weather. That night, the assembled ships were illuminated by their own searchlights; the spectacle was famously described on BBC Radio by commentator Lieutenant-Commander Thomas Woodrooffe, who had enjoyed too much naval hospitality and was very drunk. ^ Lieutenant-Colonel T.E.G. Nugent, Comptroller of the Lord Chamberlain's Department, Lieutenant-General Sir Sidney Clive, Marshal of the Diplomatic Corps, J.B. Monck, Vice-Marshal of the Diplomatic Corps, Major Norman Gwatking, Assistant Comptroller of the Lord Chamberlain's Department and Captain Sir John Dashwood, Assistant Marshal of the Diplomatic Corps. ^ a b ""George VI", Westminster Abbey (official website)". westminster-abbey.org. Retrieved 12 September 2018. ^ a b "Supplement to the London Gazette, 10 November 1937 issue no. 34453, p. 7037". Retrieved 26 May 2014. ^ a b "Supplement to the London Gazette, 10 November 1937 issue no. 34453, p. 7038". Retrieved 26 May 2014. ^ a b c d e f g h i j k l m n o p q "Supplement to the London Gazette, 10 November 1937 issue no. 34453, p. 7043". Retrieved 26 May 2014. ^ "Supplement to the London Gazette, 10 November 1937 issue no. 34453, p. 7044". Retrieved 26 May 2014. ^ "Supplement to the London Gazette, 10 November 1937 issue no. 34453, pp. 7044–45". Retrieved 26 May 2014. ^ "Music played at the C20th Coronations". studylib.net. StudyLib. Retrieved 5 October 2018. ^ a b "Coronation of George VI, May 12 1937" (PDF). www.westminster-abbey.org. Dean and Chapter of Westminster Abbey. Retrieved 27 September 2018. ^ a b c "The story of BBC Television – Television out and about". bbc.co.uk. ^ "Coronation", The British Postal Museum and Archive (accessed on 30 May 2014). ^ F E M (August 1937). "The Naval Review: Vol. xxv. No. 3 (pp. 417–418)" (PDF). www.naval-review.com. The Naval Review. Retrieved 17 October 2014. ^ "History of the BBC - Thomas Woodrooffe at the [sic] Coronation Fleet Review 20 May 1937". www.bbc.co.uk. BBC. 3 June 2014. Coronation Special 1937, reel 5, newsreel from British Pathé Archives. Royal Naval Review Aka His Majesty Review His Fleet 1937, newsreel from British Pathé Archives. Coronation of George VI May 12 1937, full list of music titles and composers. George VI was King of the United Kingdom and the Dominions of the British Commonwealth from 11 December 1936 until his death on 6 February 1952. He was the last Emperor of India and the first Head of the Commonwealth. Mary, Princess Royal and Countess of Harewood was a member of the British royal family. 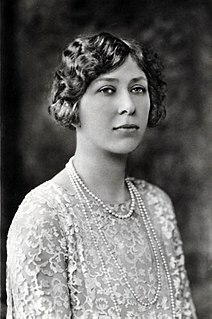 She was the third child and only daughter of King George V and Queen Mary and was born during the reign of Queen Victoria, her great-grandmother. Mary was the paternal aunt of the current British monarch, Queen Elizabeth II. Her education started at home. World War I brought Mary out of seclusion as she launched a charity campaign to support British troops and sailors. She eventually became a nurse. Mary married Viscount Lascelles in 1922. She was an avid collector of jewellery. Princess Marie Louise of Schleswig-Holstein was a granddaughter of Queen Victoria. Princess Maud, later Countess of Southesk, was a granddaughter of the British king Edward VII. Maud and her elder sister, Alexandra, had the distinction of being the only female-line descendants of a British sovereign officially granted both the title of Princess and the style of Highness. Despite the fact that they were not daughters of a royal duke, they were sometimes unofficially referred to with the territorial designation of Fife but in official documents, until their marriages, they were always styled Her Highness Princess Maud or Alexandra, without the territorial designation "of Fife". In the United Kingdom, a state funeral is usually reserved for a monarch and the Earl Marshal is in charge. The last such funeral was held in 1952 for King George VI. In addition, very exceptionally, a state funeral may be held to honour a highly distinguished figure, with the approval of the monarch and with Parliament's approval. This last happened in 1965 for Sir Winston Churchill. The public funeral of Queen Elizabeth The Queen Mother occurred on Tuesday, 9 April 2002 in Westminster Abbey in London, following her death on 30 March 2002 at the age of 101. The coronation of Edward VIII as King of the United Kingdom and the Dominions of the British Commonwealth and as Emperor of India was due to take place at Westminster Abbey on 12 May 1937. Preparations had already begun and souvenirs were on sale when he abdicated on 11 December 1936. To keep everything from going to waste, it was decided to hold the coronation of his brother and successor George VI on the same date.